Whether you pulled a late-season elk hunt or are down to the closing bell in the treestand, First Lite's Furnace Henley is the perfect tool to help you punch that tag in cold weather. Using our Merino-X 350g EXP weight fabric, the Furnace Henley provides lofted insulation and protection from the coldest temperatures. Featuring flatlock seams, a henley snap button placket an articulated fit, the Furnace Henley is the ideal layering piece over our other lightweight, next-to-skin styles. Our Furnace EXP 350 Merino-X fabric incorporates a brushed (or fleeced) backside to our high loft, interlock knits to provide super-charged insulation without added weight. Adding this to the silent, odor-free benefits of merino wool, the Furnace merino is the hands-down choice for cold weather hunts. The Furnace EXP 350 Merino-X is also available in a Quarter Zip and Long John. This is my everything layer. I can wear it as a stand-alone base layer when moving about or I can put it over merino t-shirts or quarter zips when the temps are low and I’ll be stationary for long periods of time. I no longer shiver in the duck blind, nor do I worry about damp cold base layers freezing me out after the sunrise flight. The high loft wool is soft and comfortable, creating a great layer of warm air around my svelt duck hunting physique. I’m a medium all day long at 5’10” and 165. A couple washes made it shrink up a very little bit but a little wear loosens it up again. My new go to piece of gear as well as year round use. I love this thing! If you are one of those hot blooded people yourself a favor and get the 1/4 zip for ventilation if you get overheated. Thats on my list this year. True to size. Love the thumb holes. Used this with the grid fleece all during late November and early December whitetail hunting. comfortable, fit well and most importantly was warm even with a little sweat on. I wear this with the Furnace Long John next to skin and I’m amazed by the warmth, comfort and lack of sweat. I have used this as my only layer on the 1.5 mile walk to the stand in the mid 20’s - low 60’s and I always arrived at my stand warm, dry and comfortable. I’m 6’00” 185. I like my base layers to fit snug and the medium is a perfect fit with plenty of length in the sleeves and enough shirt tail to tuck in and stay put. I wore this on the last day of gun season in Wisconsin. I wanted to put this to the test as it was 25 degrees with 20 mph winds when I got out to the stand. I wore an UA base layer (as the Kiln base I had ordered hadn't arrived yet), this Funace Henley, and a Silent Suede winter jacket from Cabela's. Bottom line: I didn't get cold. The Furnace kept me comfortable and warm until I dropped a doe. I got some blood on the sleeves when dressing the carcass; cold cycle in the washer and hang dry and it's clean without any shrinking. Great mid layer and super comfortable. Really happy I got this to complement the other layers. I usually wear an XL in most athletic-brand clothing (Under Armour, Nike, etc); however, I know that hunting brands tend to run a bit larger. I am 5'10 and 210 - an athletic body type that hasn't been athletic in several years.... the L fits me great. It is snug, but not uncomfortably so. It has the exact fit I was looking for in a warm mid layer. The furnace has been a great addition to my layering system. It has simplified and cut down on the bulkiness that I once had. Instead of using a couple of layers to stay warm, I’ve been able to use the furnace, plus an outer layer and been plenty comfortable into the lower 30s. Nice job as always, First Lite. Fits perfectly. I’m 5’8” and weigh 160lbs and wear a medium in everything shirt wise. This piece fits great. Fits perfect not to tight,not to loose easy mobilization!! Brought this on a recent 3 day trip to the Sierra Nevada's. At first I thought it might be overkill with temperatures at night getting down to 35F and daily to 60F. However, the first night we had howling winds of 50-60mph and sucking the heat out of everything. Don't know what the windchill was, but it was cold. This Henley Furnace made all the difference of a bearable night while hunkered down in my shelter without panic. Without this Henley, it may have been a different story. The warmth to weight ratio is so effecient, this is worth throwing in your pack as insurance. This Henley is the real deal and the fit was great. I wore it during the cold hours from sun down to sun up without any issues on being too tight or too loose. I did not notice any binding during my trip. I'm 6"2 at 200lbs and the XL fit perfectly. I highly recommend this product. It is clear the first time you pull this out of the bag that it is made from high quality materials. I have bought hunting gear from other brands before and the quality is lacking. I would compare it to sitting in a Mercedes versus sitting in a Honda. Either COULD get the job done, but one is going to be much more pleasant. This thing is my new favorite. I was surprised with the weight and warmth of this product. Will be my go to layering piece up into the December morning. Fit perfect for me. Room to add underneath but not too bulky. Perfect piece for long sits in a treestand. This thing is warm - exactly what I need to keep me on stand in the cold Kansas wind. Couldn’t be happier with this piece. First Lite nailed it. Again. It’s insanely warm, will be awesome come fall for early deer season and will be an excellent layer under my Woodbury Jacket come winter. The Henley is cut with an athletic fit but with ample room for the base layer. I’ve always been a grid fleece guy, glad I decided to get with the program and go with merino wool this year. Also a big fan of the buttons for ventilation. Will add versatility when the temperature swings throughout the day, like it often does here in Virginia. Great fit. True to size. I'm a tree stand whitetail Hunter and I see this in my kit all season. It's supper warm so it will be my outer layer in the early season on those cool mornings and my mid layer when the temps really start to drop. I'm also super excited to see FL add synthetics to their merino wool. Merino is such a great material for hunting clothes but it's not very tough and I'm hoping the addition of some synthetics will really help this last for many seasons. As usual First Lite has hit another home run. I've used all manner of base layers across every hunting season in Maine. Personally, the offerings I've had tend to have seams that bite after a full day in the woods, and are nearly a chore to peel off as well. Grab a set of Furnace base layers and forget about the cheap feeling synthetics. The fit and finish of the Furnace is evident the second it comes out of the package; hell, I remember being pleasantly surprised by the weight of the shirt while it was in the packaging. It is the kind of base layer that makes me wish it would get colder to push the guys wearing other gear out of the woods. This base layer is excellent. Feel is smooth as butter, excellent stitching, and quality merino. 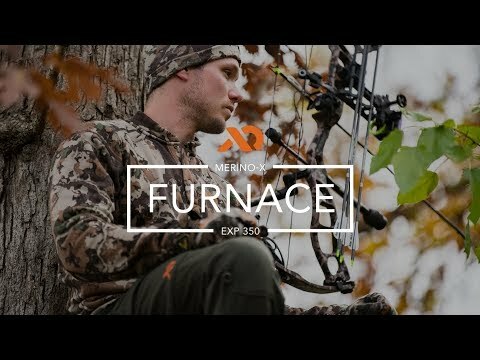 The Furnace is perfect for those cold mid fall mornings that turn into 50 degree days. It’s at home both on the trail and in town. Little long and wide in the sleeve but torso fit is excellent. I bought this Henley as a base layer for the fall and winter seasons, but it has become a staple wardrobe piece for me. I wear it almost daily. Its relatively light weight for how warm it keeps me, but it is also breathable when I need to be. Merino is where its at. Buy one of these! FL nailed it with the new Furnace Henley. I cannot wait for crisp fall days to put this on. The extra "loft" will provide excellent warmth. It will definitely be a key component on cold tree stand days as an added base layer, or as my quiet outer layer on cool 35-45 degree fall days. Highly recommend for cold stationary hunts. I think this might be my new favorite piece from First Lite. Doesn't bag out like the old merino, and it's a great weight for those cold days. I might have to get a second one in a solid color to wear around the house! Like many of first lites die hard users I made great use of my llano and charma layers. When it’s early season elk to early October they perform excellent. Bit the problem with elk hunting even early season is the weather can go from 95 to 45 and even colder over night. And the elk tend to live in the much cooler deep canyons and holes of the mountains where another layer is needed. This represents the hole in my gear setup. I have cold weather sweater for late season which is heavy to carry in September. A cirrius puffy to pack for sitting and glassing which Is light but noisy for actual movement. On comes the perfect added layer. The furnace 350. First i love that it’s Merino and fleece. So far I’ve used it on an Alaskan trip to the great northern edges of the state where it still gets cold in the morning and night. It’ll be the perfect added layer for over the llano or aerowool tee for stationary hunts and for glassing . It’s light weight makes it easy to pack and it’s silent texture makes it easy to spot and stalk on cold morning hunts or when the snow shows up early in the NW elk mountains. The shooters cut makes drawing a bow easy and it layers well with the lighter first lite options. I am excited to test it for elk this fall and especially to test it as a base layer for tree stand hunts and late season when the temp is cold to icy cold. Thank you first lite for bringing us that 3rd layer of amazing merino. Love the button Henley as well as zippers can catch the mountain man chest and facial hair. I’d recommend a size up if you’re between sizes as I will use it an over layer. This Henley does a lot of jobs well. Looks real sharp, very warm, breaths very well, tough construction. I used this as I would a tough pullover jacket, held up with almost no signs of wear through miles of dragging the beer gut through the Alberta prairie. 130+ miles on horseback including some off trail brush busting, great piece for the saddle. Finally this was a great piece for late season up to your hips in snow elk and mule deer. Wick Hoody, Furnace Henley and the Chamberlain puffy is all the tops I brought for a 5 day late season hunt in MT High temps in the 20's with 20 - 30 MPH winds. Did a great job as a top layer during a trip to Colorado this past turkey season. Was the perfect amount of warm on a chilly morning, then peel it off and replace it with the chama or sawtooth during the day when it got hotter. 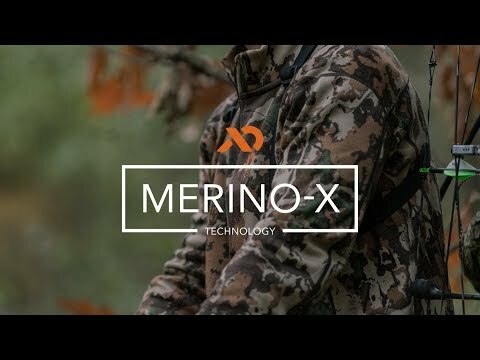 The merino still has next-to-skin comfort and was what I would wear when getting into my bag for the night. Can't wait to bust this thing out this deer season. It will be the go to outer layer well into November here in Iowa. Super warm, super comfortable, another great piece from First Lite. Fits a little small. If you're between sizes go with the larger, but it isn't off by much. The sizing difference really seems to be in the shoulders. This thing is stupid warm and really, really soft. I'm excited that First LIte finally made a henley, too. Let it be known that this might be the warmest base layer piece of a layering system I've come across.